This package has been formulated by patients of Abscesses who like so many have had little success with antibiotic and surgical "solutions". Specially created directions sheet included to ensure you get the maximum benefit as quickly as possible. Abscesses, often caused by Bacterial Infections, take hold during times of low immune action which is often caused by stress, lack of sleep, lack of food and many other situations brought on by modern life. Lucas Papaw Ointment provides topical relief and penetrates the skin to help hydrolyse pus and kill bacteria. 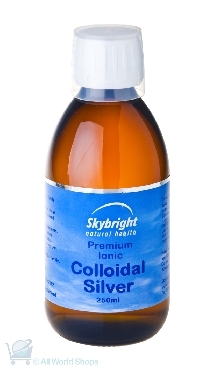 Colloidal Silver, taken regularly, provides internal antibiotic support to make your body more hostile to bacteria. Vitamin C provides support to your immune system as well as powerful antioxidant support to dispose of the toxins from broken down cells and fluids as your body fights the infection and heals. Combine gauze dressing should be worn 24 hours a day to keep Lucas Papaw Ointment on the abscess and potentially away from clothes and are thick enough to absorb any fluids which may be draining from the wound. Nexcare tape simply holds the combine in place. From experience - antibiotics and surgery may offer no quick solution to abscesses - especially big ones. They are painful - and this treatment pack is designed as a herbal alternative to antibiotic and surgical solutions that have failed. Nothing - including this treatment will heal an abscess overnight. Although some patients may experience a significant reduction in symptoms and pain - they should continue the treatment until the abscess has slowly reduced in size to smaller than a thumb nail - and not looking red and aggressive. This product was added to our catalog on Friday 03 August, 2012. While stocks last.